Travel in sleek sophistication with this classic case made of suede-like brushed twill and luxury full-grain leather, set off by a cream saddle stitch. Its flap over design allows the case to be both stylish and secure. Its spacious main compartment is fully-lined, features a detachable cosmetic case, dual zip pockets for accessories, and a full-size mesh pocket for laundry. Outside, boasts a gusseted pocket for last minute items and a unique top pocket for easy access to travel documents. A gusseted zip pocket on the back is ideal for magazines. Additional features include a built-in luggage tag in the back, and a soft-grip leather handle. 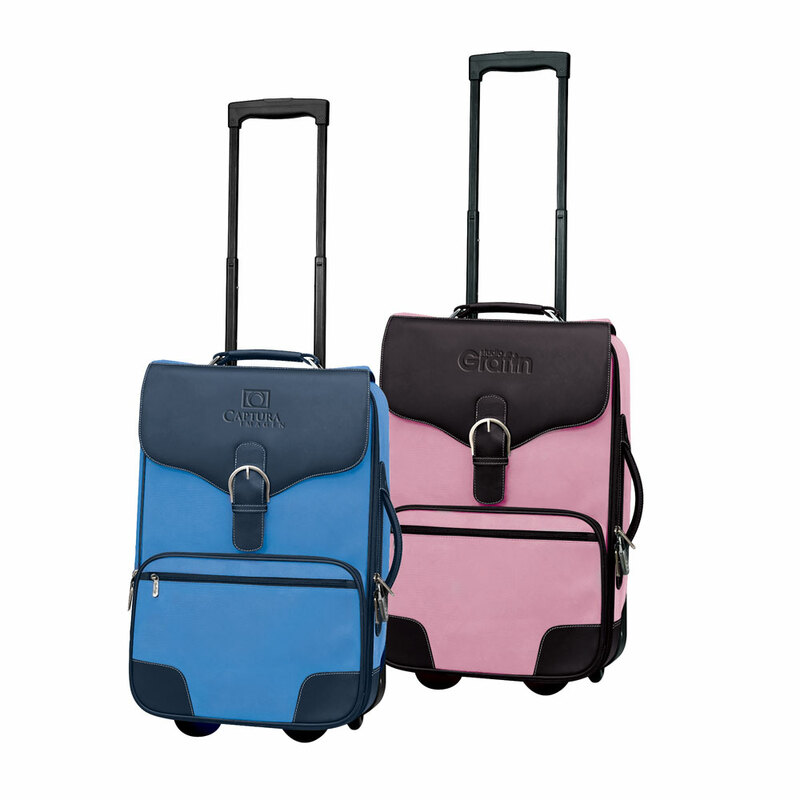 A locking pull up handle and inline skate wheels ensure ease in travel with this stunning case. Pack Info. : 2 pcs / 49.00 lbs. Pack Note: (Dimension Weight) / 26 lbs. (Actual Weight) / 25" x 20" x 16"